Richard Crabtree was Juliet’s violin teacher at LMFL 2015 Summer Music Course, in Llandovery, Wales. Richard was very successful in immediately making Juliet feel relax and highly confident when attending his intensive violin courses. I had the privilege to witness most of these courses and clearly perceived the transformation of Juliet’s violin capability which has created new possibilities for her to nourish and further develop her talent and grow it to new horizons. Since the completion of 2015 LMFL courses, Juliet was blessed having weekly courses with Richard from our place of residence in Cape Town, South Africa, through SKYPE, benefiting from Richard’s exceptional violin teaching skills and his invaluable motivational and mentoring talent. We are very grateful to you Richard. Thank you! Juliet, notre fille âgée de 14 ans, a rencontré son professeur de violon, Richard Crabtree, durant le camp de Musique LMFL, l'été dernier.Très vite, Richard a su mettre Juliet très à l'aise. Assistant moi-même aux cours intensifs de ma fille, j'ai pu voir la métamorphose et surtout entendre l'évolution dans sa musique.Grace à Richard, Juliet a pris confiance dans ses capacités musicales et c est sans hésitation que nous avons opté apres ce camp pour des cours par skype avec lui.Nous résidons en Afrique du Sud et les leçons se passent très bien. Juliet progresse de façon impressionnante et plus qu un professeur, Richard est aujourd hui devenu son mentor. Il sait la stimuler, la faire travailler tout en maintenant un climat enjoué ! Merci beaucoup Richard ! Richard Crabtree is a devoted teacher who takes pride in developing his students potential. He possesses great knowledge in developing a refined technique and works systematically to achieve a high level of performance. His teaching is adjusted to the individual's personality, needs and wishes. Mr.Crabtree has a special ability to see the person as well as the musician, something that brings his teaching to a higher level. Skype lessons give flexibility and the possibility for regular lessons despite the geographical distance. I first went to an LMFL course in Bristol a few years ago, and my first teacher there was Mr Crabtree, and I found that he was an amazing teacher. When Mr Crabtree began giving Skype lessons I knew that this was perfect for me, since I live in Singapore during the year. Skype lessons have worked very well for me, and there have been no problems since, the time difference has worked out well, as has the connection. Mr Crabtree is a wonderful teacher, who's able to make seemingly boring exercises (e.g. scales) much more fun and interesting. I find that the short 30min sessions are extremely effective. 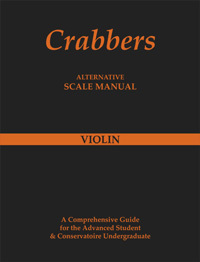 They have also made me change my attitude to the violin in a beneficial way, I am now more organised and motivated. I really love my Skype lessons and look forward to them every week. Skype lessons have really helped me to keep my technique up after the end of my postgraduate studies with short 30 minute lessons. Flexible timings for the sessions are useful for fitting them in when I'm free. I was pleasantly surprised how much you can get out of short, concise sessions. Richard is a great communicator, both over video link and, of course, in person! According to my children, Richard is the best violin and viola teacher in the world... I take the opportunity to thanks Arlette who introduce them to a wonderful teacher. Thank you Richard to be with us on earth, even in the other part of the world! "I still remember the phone call I've received, a couple of years ago, from my daughter who was attending an LMFL's pre-course in Llandovery, she was enthusiastic "I’ve met a great violin teacher. You should know him, he's completely different from all the other teachers I've had in the past." and he really was different, If it wouldn’t be for Prof. Crabtree my daughter wouldn’t be playing any more. He was great in building up not only her music skill but also her self confidence. I think that it’s possible to see a great person from the little things, as regards Prof. Crabtree he has been unique in all his teaching and his sensitive way to approach the problems and her way of studying and practice the instrument. He is more than just a teacher for my daughter but even for us parents, he has showed us how to handle the difficulties with music (but also in normal life) of our daughter and even to enjoy the good moments. When skype connection starts it so good to hear “Goodmorning how are You” in such a enthusiastic way, and he has a very good sense of humour that helps a lot. My daughter also likes when he critics her even if it’s hard for her, she accepts it and she tries to work on it and this is a fantastic lesson not only for music but also for life. After many years with violin she is now playing viola and it’s like a new beginning and the only regret is that if my daughter would’ve met him before, maybe her experiences would have been different, but better late than ever!!!! She started skype lessons more than one year ago and her music playing and her attitude has completely changed and this thanks to the patience, the competence, the ability, the strong sense of duty, the ability to have her understand where the problem is and how to face it, the humanity of her “Professor” and these are just some of the values he taught her. “ex ducere” bringing out from students all the best even the unknown aspects that only a special person like him has been able to see and have had her seen it.